My recommendations for the best carp line to use on different types of lakes whether you are fishing in the UK or France. What are the best lines out there? I’ll give you here my favourites and least favourites for different types of lakes and waters. This is based on my experiences as both angler in the UK and France and fishery manager here at Beausoleil Carp and Cats. If you want to know about things like abrasion resistance, sinkability, strength or weed, check out my other post on how to choose the right line. First, let’s go through the different types of line: mono, fluorocarbon and braid. 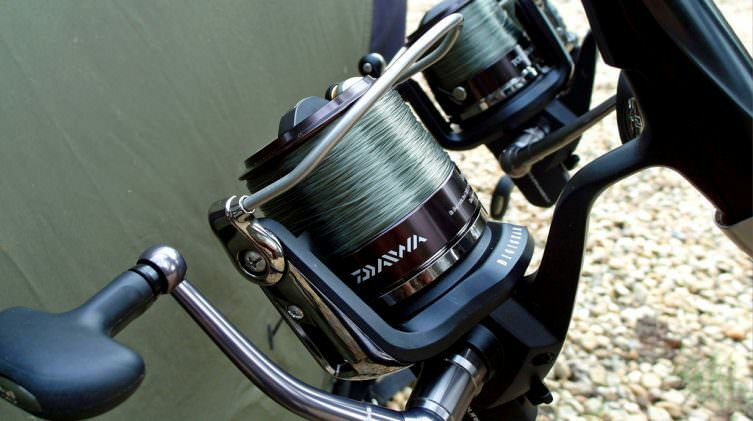 ● Mono is the choice for many anglers because it is so easy to use and relatively cheap. Actually there is an argument for only using cheaper mono and changing it frequently. I knew one high profile carper that fished in excess of 100 nights a year and changed his mainline every 6 weeks at a cost of £6.95 per spool. ● I know some cheap brands of line that are superb and some that are utter rubbish. On more than one occasion, I have been able to break brand new branded 15lb line with my bare hands! ● Fluorocarbon is popular for all sorts of reasons (many of them bogus in my opinion). For example the fact that its refractive index is virtually the same as water is of no interest to me whatsoever. All line attracts suspended debris and no matter what it’s made from or how clear it is, when it’s off the bottom, it’s visible within a short period of time. It is higher maintenance than mono. It requires regular cleaning and stretching to keep it in good condition. It’s also insanely expensive, and picks up damage easily. ● I used it for a winter and had to strip off 30 yards every 48hrs. After 30 nights I’d used so much line, I had to change it and no, I didn’t blow another £60 on more fluorocarbon. Another valuable lesson learned. ● Braid is awesome stuff: low diameter, super strong, abrasion resistant. It’s got it all really but it can be difficult to use in some circumstances and is banned on many venue such as my own. It can be cast very far but it’s prone to wind knots. Yes, you need to wet the spool before each cast. Yes, it still fraps up on you and you’ll be un-picking wind knots every single fishing trip. 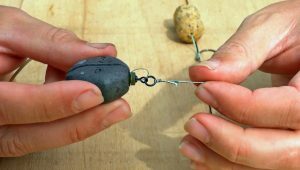 ● If I fished big carp waters where bait boats or rowing boats were allowed, then braid would be my first choice but they are tricky to cast. They are also very unforgiving on the cast. I love to cast to a clip, land the rig and get the donk I want. Doing this with braid is much harder. Because there is no stretch, there is no cushion, no room for error on the cast, and you’ll be making multiple casts to get the drop you want. ● Braid is expensive but it does last a long time, many seasons in fact. It’s also a little tricky to knot well to get the best from it. Choosing mainline is a very personal thing. Everyone fishes different waters and lakes and what suits one angler may not suit another. With that said, here are some of the lines I’ve used over the years on certain venues in the UK and France that I’ve loved and some that I’ve hated. A few years ago, I did some weeks on the Abbey lakes complex in France. I used Pro-clear both as mainline (16lb) and as zig hook link (8lb). I fished Fox lake which is chocked full of weed and being able to cast a long way was essential. I only had one hook link fail and landed 27 carp including 3 x 40s. If you’re fishing at range in gin clear water then it’s definitely worth looking at. It casts very well but it doesn’t sink so well though so it’s not a line I’d recommend for Beausoleil. I’ve used it but had to change it after a few sessions. In 15lb, this is the line that I’ve used the most and loved the most. It’s not the best casting line on the market but it sinks very well and is very tough. It’s limp and supple and hangs nice and limp through the rings. For general all round use up to ranges of 90 yards, it’s been very good to me. The latest incarnation of this legendary line now available from Gardner. I didn’t think GR60 could be bettered but I have to say that it has been. It casts better and is even tougher than the original, knot strength is fantastic too. In 0.40mm (15lb), it’s my main line of choice for this season and I can’t see me using anything else for quite a few years. I’ve also spooled up with the 0.34mm (12lb) for distance work but have not had the chance to put it through its paces. I used this line this winter at Beausoleil and was amazed by its toughness. I’m used to having to strip off X number of yards every few days at Beausoleil but found this simply wasn’t necessary this time. While playing carp I felt the line rub over branches a few times but could find no evidence of damage so continued to fish with it. At the end of the winter I had to strip of 15m across three rods which is nothing really. For the angling I’m currently doing (snaggy small estate lake and river carping), the 15lb version perfectly balances the performance criteria that I’ve outlined. 4. 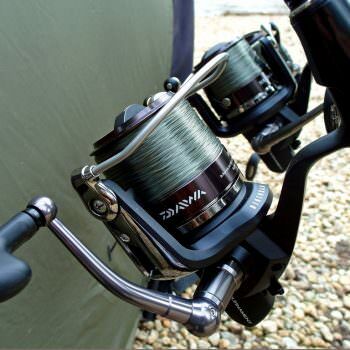 P-Line CXX X-tra Strong 30lb: When the going gets tough while cat fishing or river carping. This has to be one of the toughest mainlines I’ve ever used. For this strength, you’d think it would be over 0.50mm diameter but it’s only 0.42mm! This makes it the same diameter as Subline so I was expecting it to cast badly but it doesn’t. In fact it casts great from a big pit reel and I can hit 90 yards with very little effort. It is a little wiry to start with and you will notice it. After a few outings, it straightens out nicely and hangs limply through the rings. It does have a some memory too but I can forgive it that. 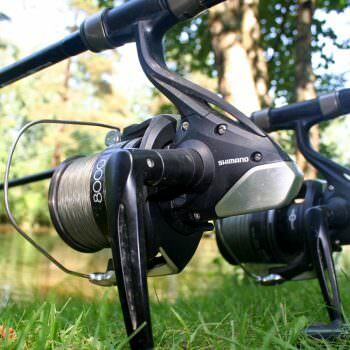 It sinks very well which is of great importance to me and behaves well on the spool as long as you keep it wet. I only started using it in 2015 after specialist catfish angler Dave Mutton of UK Specimen Fishing recommended it to me. I still see too many catfish lost each week at Beausoleil and wanted something that could take a real battering. I’ve tested it thoroughly and it hasn’t been beaten yet. It’s perfect for hit and hold situations and it’s survived being hauled through plenty of branches without failure. 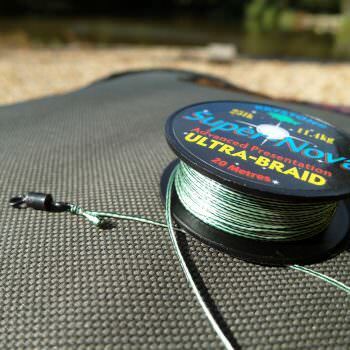 For many anglers, it’s probably over kill but if you’re looking for something that can take a real beating and don’t or can’t use braid, then it’s worth considering. OK I know this isn’t mainline! 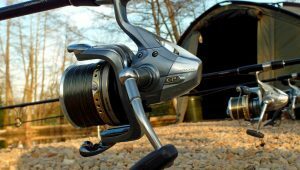 It does have the ability to give mono super levels of abrasion resistance where it really matters and this is my choice for my river carping campaign this season in 45lbs. This is awesome stuff and has survived being ripped along the underside of moored boat by a carp a couple of times already. I can’t see any mono surviving that kind of experience! Before looking at the lines I haven’t liked, you can check this blog post to see my tips for putting new line on your reel and how to take care of your line. Sorry guys but I don’t like this at all. It sinks well but I hate the way it casts. I know it’s 0.43mm but it’s not for me. I’ve also had reports from clients about multiple line failures when using it! I used this in 20lbs for my first winter at Beausoleil. Being a fluorocarbon, it doesn’t cast well but I knew that anyway. It does sink like a brick (which is why I bought some). The down side is price, abrasion resistance and proneness to damage. Fluorocarbon lines are meant to have a higher abrasion resistance than mono but because they get dragged over every rock, bar, twig lying on the lake bottom, they pick up damage like you wouldn’t believe. I can’t see myself using fluorocarbon of any make in the future. In 50lb, it is incredible stuff: thin and immensely strong and tough. If there was a braid out there that could be cast confidently without being susceptible to wind knots I’d buy it. As yet I haven’t found it. I bought some specifically for river carp fishing and it worked well but there were issues. I found it difficult to get good knot strength consistently which was deeply concerning. 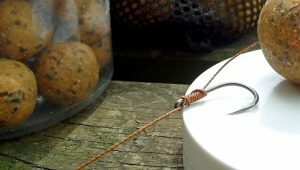 One issue that I could not have foreseen was that when fishing the river I use 4.5oz captive back leads. 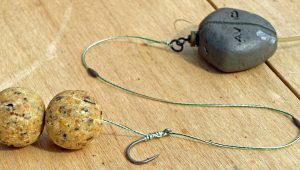 After casting out, when I attached the back lead to the braid, the weight of back lead and the lack of stretch in the braid resulted in my gripper lead being dragged out of position. This was very annoying as I hate to move the lead after the cast as the chance of the hook point becoming damaged is very high. A recent client on his first visit to the venue spooled up 6 rods with this. By accident I discovered that this line is ridiculously weak. It was brand new and rated at 15lb and yet I broke it with my bare hands and I had to take him shopping for new line! Fox products are normally of good quality so whether this was a duff or old batch that had been sitting on a shop shelf for too long I don’t know. I hope this gives you food for thought when considering your next mainline. For many waters the choice will make very little difference to your level of success but on harder venues it really can be the difference between success and failure. Personally I wouldn’t believe any manufacturers’ blurb that you read or watch. These guys will tell you exactly what you want to hear to sell product. At the end of the day you can’t beat personal experience but being objective and going through a logical process can save you time and money. The golden rule is to test it yourself before you even put in on a reel. It should take a considerable amount of effort to break the line, knotted or not. Do protect your hands when doing so though as mainline cuts hurt! For the record I have no affiliations or deal with anyone or any company. I buy what I want with my own money and either like it or not. Happy shopping and let me know what you think! Join the discussion or leave any questions or comments on this post in the comment section below. First published in July 2014, updated in January 2016 to include the review of P-Line.